Try exploring these three areas to dig deeper into QuickBooks Online. You should decide to learn more about QuickBooks Online and keep up with your accounting chores more conscientiously. How will you know if you achieved that goal? Let’s pick three (or more) specific areas and focus on them! We’ll get the ball rolling for you by making some suggestions. Yes, QuickBooks Online itself is already mobile; you can access it from any computer that has an internet connection and browser. But you probably don’t always lug a laptop around when you’re away from the office, and you’re sometimes at locations where using it wouldn’t be practical. But you can always pull out your smartphone and fire up the QuickBooks online app, available for both iOS and Android. No matter how small your smartphone (this image was captured on an iPhone SE), you can still do your accounting tasks using QuickBooks Online’s app. QuickBooks Online’s app replicates a surprising percentage of the features found on the browser-based version. You can create, view, and edit invoices, estimates, and sales receipts for example, as well as see abbreviated customer and vendor records. Your product and service records are available there, including tools for recording expenses on the road. Budgets are intimidating. That’s one reason why some small businesses don’t create them. So instead of trying to estimate what your income and expenses will be for an entire fiscal year, just build a budget for one month. In QuickBooks Online, you’d click the gear icon in the upper right, then select Budgeting. Click Add budget in the upper right to open the New Budget window. Give it a name, like “February Budget,” and select FY2019. Leave the Interval at Monthly, and open the Pre-fill data? menu to click on Actual data – 2018 (if you have data from last year). Then click Create Budget in the lower right corner. Look at last year’s February numbers and estimate how they might change in 2019. Replace the old numbers with your new ones. Creating a framework for a budget in QuickBooks Online is easy. We’re suggesting you try it for just one month, so you get a feel for how this tool works. And that experiment will probably leave you with some questions. We can help you go further and complete an annual budget. Every piece of paper and email you send to your customers contributes to their impression of you. Are you presenting an attractive, consistent image of your business to them? QuickBooks Online can help with this. It offers simple (for the most part) tools that allow you to modify the boilerplate forms offered on the site – without being an experienced graphic designer. Design. This section contains links to modifications you can make to your sales forms’ visuals. You can, for example, add a logo or color and change the default fonts. Content. Do you want to add or remove the standard columns (Date, Quantity, etc.) displayed on your invoices? You can do so by checking and unchecking boxes. Emails. QuickBooks Online sends email messages with forms; you can edit them here. Payments. This is a reminder that QuickBooks Online supports online payments, which can help you get paid faster. There’s more you can do to make your sales forms look professional and polished. 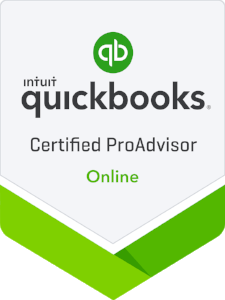 We can help you with these tools – and any others you want to explore to expand your use of QuickBooks Online. It’s a new year, and who knows what might come your way over the next 12 months? Contact us if you want to prepare for the new accounting challenges that 2019 might present. Did you resolve to grow your understanding of QuickBooks Online in 2019? We can help you explore new features. Go mobile in 2019: Download the QuickBooks Online app for your smartphone. You’d be surprised at how much it can do for you while you’re on the go. How are things going with your 2019 budget? If you don’t have one yet, let us show you how QuickBooks Online simplifies this critical task. QuickBooks Online’s sales forms (like invoices) may work fine for you. Do you know, though, how they can be customized to fit the image of your business? Ask us. Older PostNeed to Create Estimates? How QuickBooks Can Help You with This.